Was Expo 2010 worth it? Depends, I suppose, on who you are. If you’re from a small-town in China, and your only experience of Expo was had on a blazing hot August day when you had to stand in lines for hours with several hundred thousand of your closest friends to see a half-baked exhibit on German polyester – probably not. But, truth is, for many of the organizers and participating countries, Expo 2010 wasn’t about the ticket buyers, it was about the government officials and business executives who planned to use it as a six-month meet and greet to take place behind closed doors, in VIP suites. 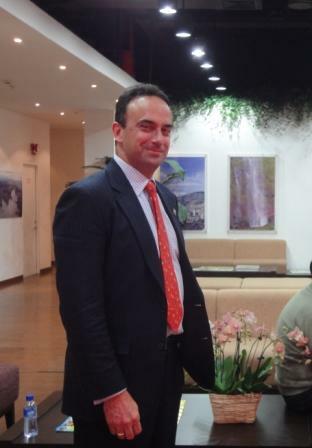 So, in search of this perspective, I sat down for a chat with Juan Pablo Cavelier, the General Manager and Director of Colombia’s Expo 2010 pavilion. In fact, I sat down with him in Colombia’s VIP area – pictured below. Colombia’s participation in Expo 2010 was far from assured: the country was one of the very last of the 200+ to RSVP for the event. Nonetheless, under a very limited schedule, it managed to build a first-rate pavilion for less than US$10 million. Compared to the tens of millions spent by some countries, this was a modest sum. But for a country that wasn’t sure it wanted to participate, it was serious money that needed to be justified – at some point. Some excerpts, then, from a wide-ranging conversation (some of which will be published elsewhere) on just how Cavalier will that. Still, as an unabashed Expo enthusiast, I did my best to convince Moore that he was getting the Expo story all wrong. I suggested pavilions worth visiting; I recommended restaurants worth trying; I organized an Expo pub crawl and treated him to two bottles of delicious Moldovan wine. No luck: Moore remained undeterred. 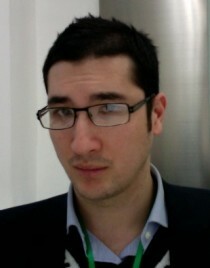 And, even worse – from the perspective of someone who thoroughly enjoyed reading Moore’s disdain for the event – he lost interest entirely, and moved onto other stories (along with most of China’s foreign correspondent community). But surely, Malcolm Moore still has an opinion, and so I reached out to him earlier this week in hope that he’d be up for answering a few last Expo-related question. Malcolm, a gentleman if I ever met one, answered graciously, and at length. Interested readers will note two things: 1) he hasn’t changed his mind at all, and 2) he writes very, very well. Scrap: On the occasion of the Expo’s opening, you wrote that it as had “all the soul and charm of a limp prawn sandwich.” Six months later, do you stand by this assessment? Or has familiarity suggested another food item to which the Expo might be more accurately compared? Moore: Yep. Six months later and after a further 15 or 20 or so trips to the site, I stand by my initial assessment. 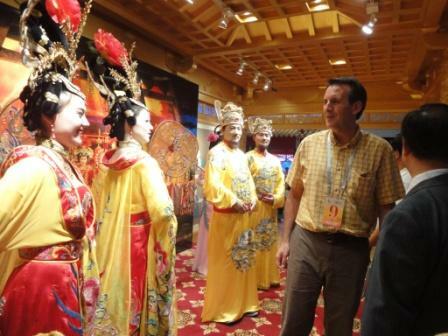 I’ve been busy with a number of projects over the last two weeks, but perhaps none hits closer to home – quite literally – than my coverage of Minnesota Governor Tim Pawlenty’s current (for 36 more hours) trade mission to China (continuing onto Japan). I usually don’t post links to my Minnesota-oriented China coverage, but in this case I will, for two reasons. First, because Governor Pawlenty is now a national figure in the Republican Party and, as a result, what he thinks about China is important. And second, because Minnesota has long been a US leader in building bridges to China (the University of Minnesota has been engaging in students exchanges with China since 1914! ), and how it relates to China is worth considering, and perhaps emulating. My first dispatch, from Friday, presents the case that – in an age of slow to no growth US states – Minnesota businesses need to grow via exports, especially to Asia. That dispatch is here. The second dispatch includes excerpts from a lengthy exclusive interview that I conducted with Governor Pawlenty on the topic of China and US competitiveness on Sunday. Whether you agree with him or not, he’s speaking about China in a way that few national-level politicians have yet attempted, and I think that fact – in itself – is interesting. You can decide whether your agree or not, by reading here. Finally, I’d be remiss if I didn’t point out that my Pawlenty trade mission pieces have been publishedy b MinnPost, the online newspaper of the Twin Cities. It’s a relatively new outfit, but in its few years of existence it has not only proven itself a worthy counterpart and rival to its fossilized print predecessors, but also a brave and respectful voice that respects the intelligence of its readers. Put differently: no other Minnesota media outlet – print or otherwise – bothered to cover Pawlenty’s trade mission in any form. MinnPost, to its everlasting credit, not only covered it, but allowed me to do so in two lengthy pieces that – I hope – give readers a deeper understanding of the issues than the 600-word bite sized summaries so typical in contemporary newspapers. Viva MinnPost! How to commit fraud, save money, and benefit the environment – all at once (in Shanghai). China is the world’s second largest market for PCs and other electronic devices. This is a good thing if you’re a manufacturer, but – potentially – a very, very bad thing if you’re an environmentalist concerned about what happens to all of that electronic equipment when it breaks down and/or its owners don’t want it, anymore. Indeed, for years, journalists and activists have documented the devastating environmental and human toll inflicted by the low-tech extraction of recyclable metals in small workshops in south China (and, to a much lesser extent, in Africa). But, for reasons that have always eluded me, the focus of those documentaries has been on the ever-decreasing volume of electronic waste imported from developed countries, and not on the growing tidal wave of electronic waste being generated – right now! – in places like China and India. The problem is this: recycling electronics in a manner that damages the environment and human health is highly profitable. So, even if a company wants to do it in a way that’s minimally damaging, there’s no way that compete can compete to buy old electronics from companies who use environmentally ruinous methods to recycle. So what to do? 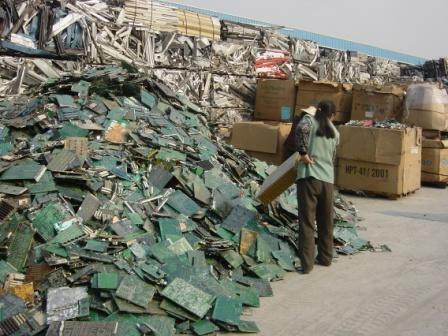 In June, after years of discussion and argument, several Chinese ministries issued a regulation creating one of the world’s biggest and best-funded e-waste recycling programs (regulation here; additional info, here). Among other measures, it offers direct subsidies for the purchase of old electronics and appliances – computers, monitors/TVs, a/c units, washing machines, and refrigerators – that would otherwise be purchased by the environmentally destructive informal recycling sector. Specifically, it offers vouchers to appliance owners that equal to 10% of the purchase price of new electronics. So, for example, if you want to recycle a computer in Shanghai, you call up the local authorized recycling center, and they’ll give you a voucher for as much as RMB 400 (US$58) toward the purchase of a new computer at the time they pick up your old one (and, for that matter, an additional RMB 400 voucher for your old monitor). From there, the devices are sent to an environmentally secure recycling center (more on that soon). How successful has this program proven to be in its first two months? Successful enough that canny Shanghai businessmen have already figured out a way to make money by defrauding – indirectly – the program. And that’s a good thing (for the environment)! The Fruits of Recycling: Cancerous Take-out Containers. Dong also said that less than 10 percent of the disposable dishware sold in the market is made of paper pulp, which is generally safer but more expensive. The foam and plastic boxes each take about 45 percent of the market share. 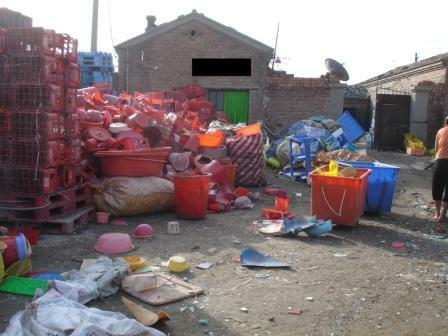 China has banned the sale and use of disposable dishware made of foam, as it is more likely to be made of plastic wastes. As for the plastic boxes, Dong said a large number of them are actually made in small plants that do not have production licenses. Guibei’s infrastructure is still primitive, thus we’re grateful for a fourwheel-drive vehicle that can negotiate the muddy potholes that run between farm fields. As we pass one village where plastic bags twist and swirl in the wind and get tangled in the trees, our driver begins to laugh with his colleague in the passenger seat: Apparently, some of the businesses in this area manufacture plastic bags that they market as suitable for food use, when they’re most definitely not. My photo of that facility is a blur (the SUV was bouncing), so, below, an image of a nearby facility that was pretty much indistinguishable from the one mentioned in the piece, and hundreds of others engaged in the business in this region. More on Apple and manufacturing in China.